I joined the University of Stirling in 2007, having previously worked at the universities of Manchester, Birmingham and Kent. I have carried out funded research for the Department of Health and the Joseph Rowntree Foundation, and prior to that I even had a stint in the 'real world' as a residential social worker. My research interests lie in three broad areas. Firstly, I have written about welfare partnerships and governance, particularly those involving health and social care services, and I am particularly interested in the implications of these arrangements for citizens. Secondly, I am interested in issues concerning citizenship, social participation and access to services, particularly for disabled and older people. My final area of research concerns gender, particularly the way in which welfare policies affect older and disabled women. I am an active member of the Social Policy Association, serving on the Executive Committee (see www.social-policy.com for details of how to join the SPA), I sit on the editorial boards of Social Policy and Administration and Policy and Politics and am the outgoing editor of Social Policy Review. I am a board member of Engender, a Scottish feminist organisation interested in women's political and social inclusion, www.engender.org.uk, as well as a member of the Scottish Women's Budget Group. 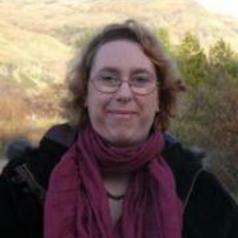 I am a keen cook and choral singer and sing in Stirling University's choir www.stirlinguniversitychoir.com. I am currently supervising several PhD students looking at issues of social care, gender and citizenship, but am always interested in applications from potential PhD students interested in social citizenship, disability, age, gender, care, access to services, and welfare governance.